Classic Non-Album Cuts: The Notorious B.I.G. When the conversation of the greatest rappers of all time comes up, those crazy people that believe The Notorious B.I.G. should not be at or even near the top of the list point to the fact that he only released two albums in his lifetime. That is a small sample size, not only in comparison to his contemporaries that survived and have gone on to release music for twenty years – Nas, Jay-Z – but also the man with whom he will be inexorably linked forever – 2Pac – who recorded at a furious pace, leaving behind vaults full of finished (though not always great) material. However, this narrative ignores the fact that B.I.G. actually recorded much more in his lifetime than most people realize. It’s not like he took years off between studio sessions. Instead, he contributed to soundtracks, compilations, remixes, and helped to develop his own crew – Junior M.A.F.I.A. – as well as oversaw most of the production of the debut album of the man that was at once his boss, his right hand man, and his protégé – Puff Daddy. So, here is an incomplete yet still thorough collection of some of the notorious one’s best work that did not appear on any of his four albums (including the two released posthumously). I also left off tracks from Puff Daddy’s No Way Out and Junior M.A.F.I.A.’s Conspiracy because he pops up multiple times on those discs. It’s always sad when a twenty-four year-old is killed, particularly one that was simply riding in a car after leaving a party, but regarding Christopher Wallace it is even more tragic because his style was still evolving and it would have been fascinating to watch him navigate the changing climate of hip-hop (one that he had a major hand in changing). Would he have left Bad Boy? Could he have stayed away from recording and just develop young talent, as he claimed was his ultimate goal? Would the NYC renaissance of young emcees from ‘98 – Nature, Noreaga, Big Pun, DMX, etc. – even happened if B.I.G. were still the king? 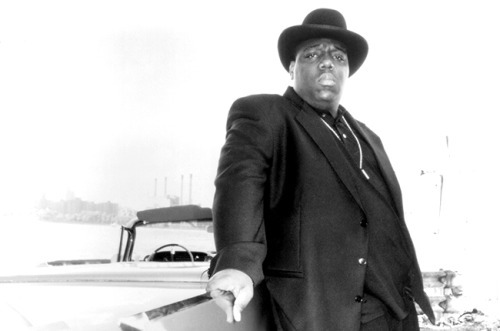 What would Biggie have sounded like in 2000s? Would Jay and Nas have battled for a throne that was still occupied? These questions will never be answered and we’re only left with what he blessed us with before moving on. Bad BoyClassic Non-Album CutsHip-HopRapThe Notorious B.I.G.